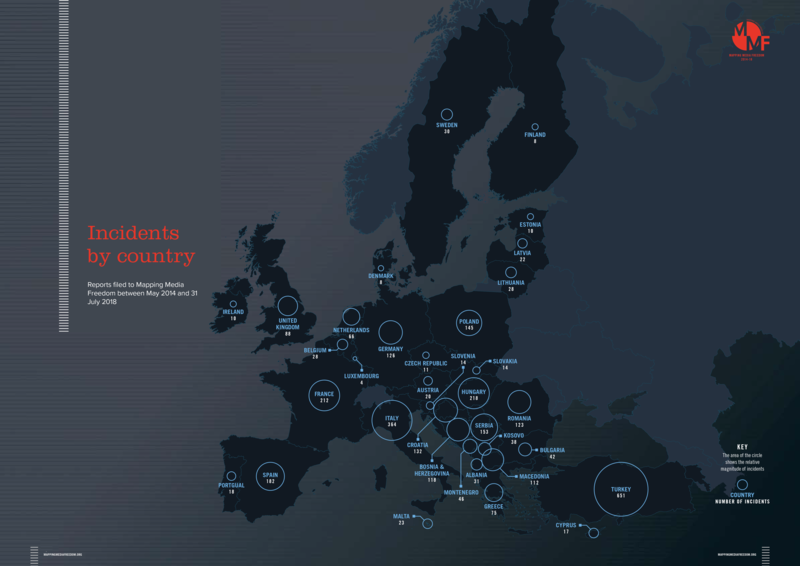 A companion to Demonising the media: Threats to journalists in Europe, the numbers contained in this document are drawn from 3,187 press freedom violations reported to Mapping Media Freedom, an Index on Censorship project, between May 2014 and July 2018 covering 35 European Union member states, candidates and potential candidates for entry. 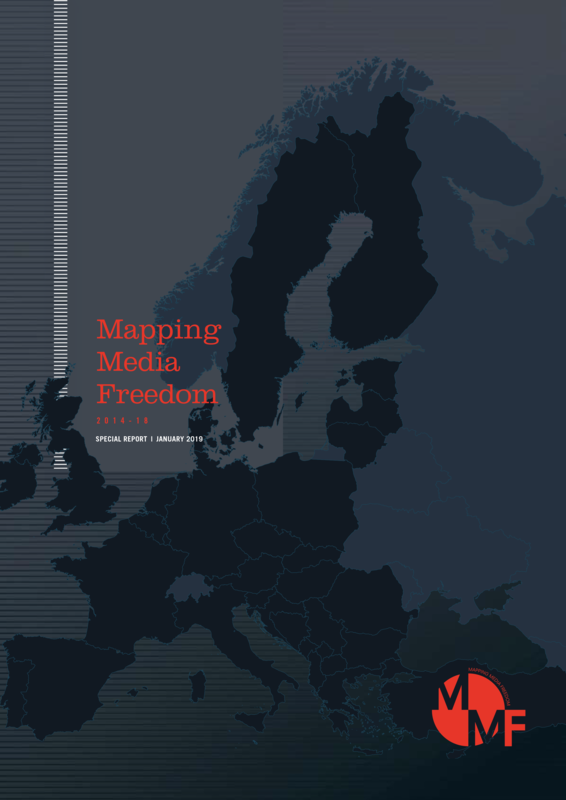 MAPPING MEDIA FREEDOM — partially funded by the European Commission — investigates the full spectrum of threats to media freedom in the region – from the seemingly innocuous to the most serious infractions – in a near-real-time system that launched to the public on 24 May 2014. Driven by Index on Censorship’s decades-long experience in monitoring censorship across the globe, Mapping Media Freedom set out to record the widest possible array of press freedom violations in an effort to understand the precursors to the retreat of media freedom in a country. The ambitious scope of the project called for a flexible methodology that draws on a network of regional correspondents, partner organisations and media sources. Mapping Media Freedom defines a media worker as anyone partaking in the gathering, assessing, creating and presenting of news and information. Each report is fact-checked with local sources before becoming publicly available on the Mapping Media Freedom map. The number of reports per country relates to the number of incidents reported to the map. The data should not be taken as representing absolute numbers. For example, the number of reported incidents of censorship appears low given the number of other types of incidents reported on the map. This could be due to an increase in acts of intimidation and pressure that deter media workers from reporting such cases.